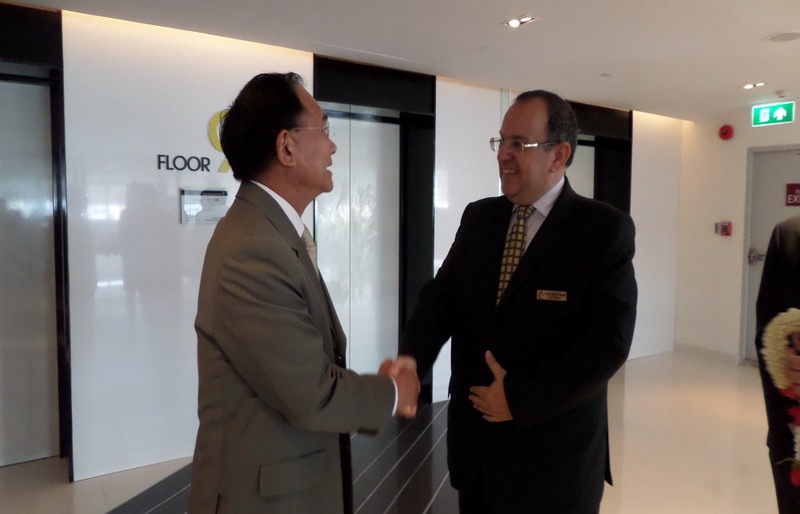 Wim Fagel, centara Watergate Pavillions’s gneneral manager, right, welcomes Suraphon Svetasrenim governor of the Tourism Authority of Thailand (TAT), who presided over the opening ceremong of a TAT conference, the first to be held at the hotel. CENTARA WATERGATE PAVILLION BANGKOK Watergate marked the opening of its latest hotel with the official opening of Café 9, a trendy, new style restaurant, serving international, Thai and Asian cuisines in a bright, fresh setting in the heart of the Pratunam fashion/shopping district. Watergate is Centara’s fourth hotel in Bangkok. 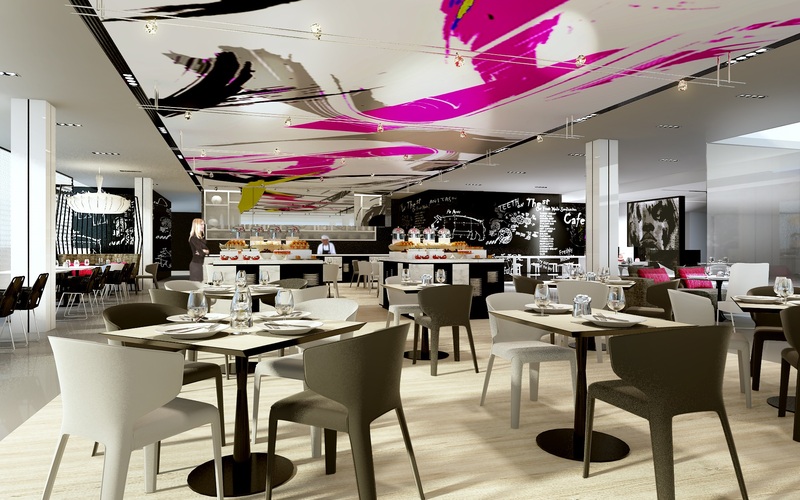 Café 9 is located on the 9th floor of the hotel, and features an extensive à la carte menu as well as buffets for breakfast, lunch and dinner. 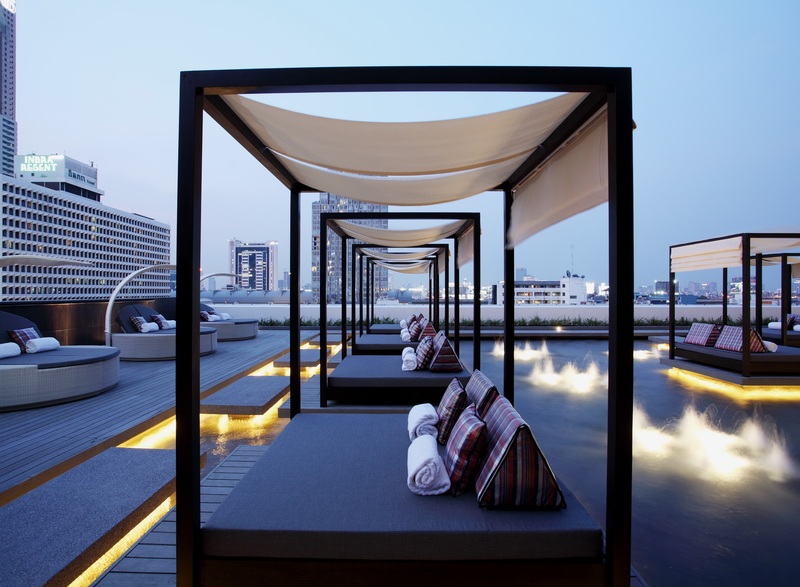 Centara Watergate Pavillion Hotel Bangkok is designed for both leisure and business travellers and is a newly built property seamlessly connected to the Watergate Pavillion Fashion Mall in Pratunam, an area synonymous with shopping, textiles and fashion. “We are delighted to announce the opening of Café 9, as this also signifies the soft-opening date of Centara Watergate Pavillion Hotel,” says General Manager Wim N M Fagel. The restaurant is open seven days a week, with executive chef John Ranaudo in charge of the team. Two other restaurants will make their debut in the next few weeks – Chili Hip, located on the 20th floor, offering fine dining; and WALK, featuring open-air, roof-top dining with spectacular views. Buffet prices at Café 9 are 670 THB for American breakfast, 850 THB for lunch, and 1,250 THB for dinner. All prices are subject to service charge and government tax. Centara Watergate Pavillion has 281 rooms and suites and is designed for both business and leisure travellers. Mr. Fagel says core markets for the hotel are South Africa, Middle East, India, Southeast Asia, Europe and Australia. “The station for the Airport Express rail link to Suvarnabhumi International Airport is a five-minute walk from the hotel, and for those visiting Bangkok for medical reasons, leading institutes such as Bumrungrad Hospital, Bangkok Hospital and Pyathai Hospital are all close by.